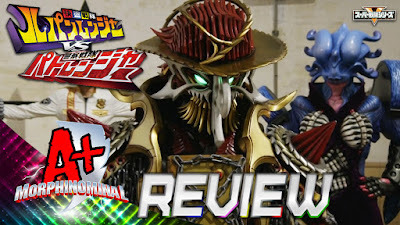 How far will the Lupinrangers and Patrangers go to save Noel? We break that down in this weeks episode as we discuss the reveal of the Lupinrangers identities! What exactly will the cost be for their actions? Plus, we explore Dogranio and his betrayal of a fellow comrade, along with much more!! I am not a fan of this season. It's been one plot after another of "Why should I be concerned?" I understand some may like it and that's fine. There are seasons I enjoy that others don't. My biggest frustration is what is the consequences for this reveal? They are still Lupin. They should've revealed themselves 40 episodes ago. It would've had better interactions between each team. Noel being an alien....so? I don't see what the concern or importance of this. I just don't understand this season. It's ok to have seasons to love and hate and honestly, this is down really low on my list. Sorry.